25,10 € прибл. 1.811,94 руб. For beginners and beginners - great for use in music lessons! The reader learns everything worth knowing about the saxophone, from the right approach for modern saxophone playing to practice-oriented exercises and attractive pieces from the blues, jazz and pop genres. This comprehensive approach makes "Das große Buch für Saxophon" an inspiring reading for beginners and beginners alike as well as for music lessons, and the clear structure and structure of the book, which is oriented towards musical practice, provides the student with motivating experiences of success. For many a musician, music theory is not neglected. But Skringer does not overwhelm his readers, he introduces them step by step to the theory. 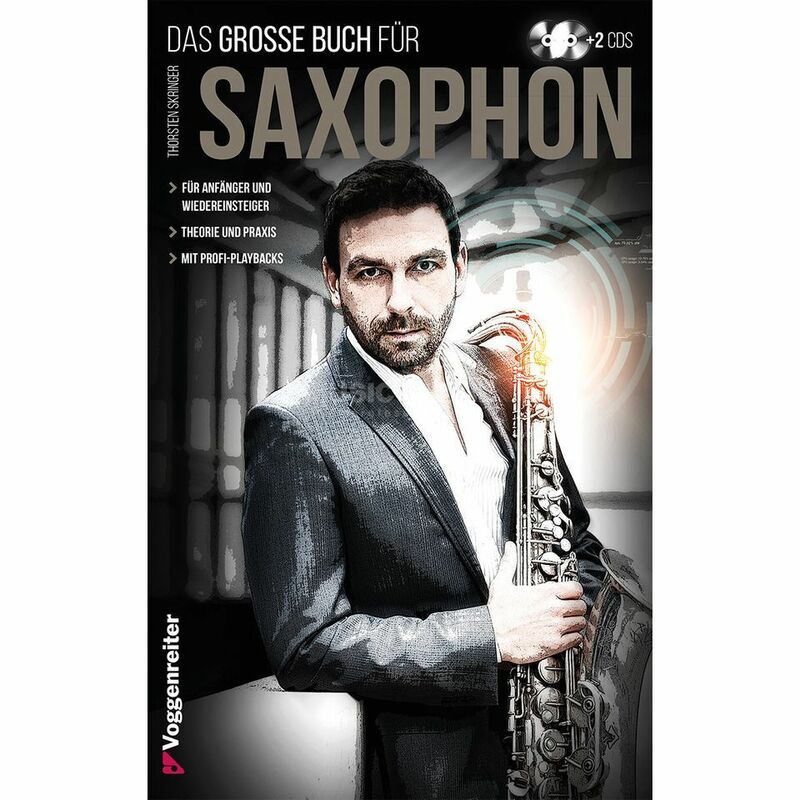 The professional Playbacks in the practical MP3 format are included in a Bb and an Eb version, making "Das große Buch für Saxophon" suitable for any saxophone. He organises international workshops, is the author of successful textbooks and founded the "Saxophone Bootcamp" in 2011, which was honoured as a state-recognised vocational training institution.